Job Interview Question - Tell me something about yourself - How to answer this? It might appear to be a very simple and easy to answer Job interview question makes many of the interview candidates very confused and stress. – Tell me something about yourself? Although it’s the very first question asked in a Job interview, many candidates get nervous and fumble while answering this simple Job Interview Question. But if you answer this question well you will not only create a good impression but set the right tone for your job interview feeling confident throughout the job interview. 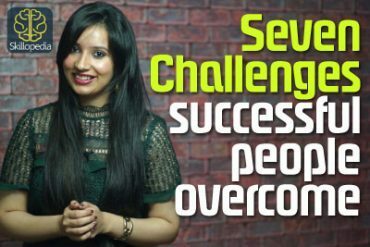 In this job interview skills video by Skillopedia with your favourite trainer, Niharika you will learn some useful tips on how to answer this very simple question and the possible answers. Hello friends, I am Niharika and welcome back to a new lesson. So tell me, something about yourself. How many times have you heard this phrase before? I’m sure many times. Especially, when you end up meeting new people. Now, of course, you meet new people when you go for an interview when you are at a party or even when you go on a date. Well, this question or this expression helps you to get to know the other person better. That’s exactly the reason why you would come across something like, so tell me something about yourself. So in this lesson, I have some tips for you to talk about yourself. So let’s get started. The first tip that I have for you is focus. Now it’s important for you to focus. Now here, let’s consider a formal situation. A situation where, you are in an interview and someone or your interviewer would end up asking you, so tell me something about yourself. How would you answer that? Now as I said, you need to be focused. Well, the reason because, here the interviewer wants to know about your educational background or your prior work experience. He doesn’t want to know that what you like or what are your hobbies or something about your family. That’s not what he’s looking at. What he’s looking at, is a simple answer, which would give him an idea that why you fit into this job. Now of course, usually, tell me something about yourself is the first question that is asked by an interviewer. 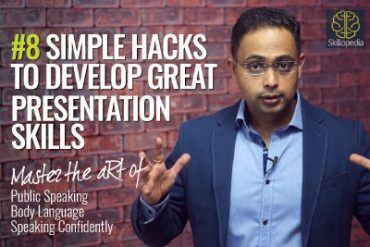 So it’s important for you to build the good impression because the first impression is very, very important. So stay focused and I’m sure, you will do great. The second tip that I have for you is to put some colour behind the positive words. Well here, what I mean to say is, to highlight your skills with some examples. Now positive phrases such as I’m hardworking, I’m detailed oriented, I’m a problem solver is all over the resume and it is commonly used by everyone. But wouldn’t it be nice to add something that would highlight the skill? Well, for example, you can say, that I am a problem solver. In my last job, one day it was raining heavily and I drove my boss on the other side of the town because he was unable to get a cab and he had to attend this important meeting. So wherein you know I came in and dropped him and that really worked for him. So you’re highlighting your point by describing the situation. So this would really help, so go ahead put that colour behind these positive phrases. The third tip that I have for you is, keep it short. Now yes I have come across a lot of people who love talking. They just keep going on and on and on. Well you need to stop, right? Now the reason because, your interviewer has some more questions for you. So you just can’t keep talking about yourself, about your family or about your friends or about the things that you like. That’s not necessary. So when a question is put up to you, like tell me something about yourself, just highlight two or three points. Okay, that would really show your skills to the interviewer and then that’s about it. Period, so make sure you keep your answer short. The fourth tip that I have for you is don’t use complex language. Now here what I mean is, use simpler sentences. Now whether you are in an interview or you are at a party or you are talking to your friends or maybe you’re on a date. Why do you have to end up using all the English words that you have learnt? Not necessary. Just keep it simple because the more complicated sentences that you will say, you will end up making grammatical mistakes or pronunciation mistakes. So just avoid that, just keep it simple and I’m sure, it would come out really well. The fifth and the last point that I have for you is, listen to others. Now here what I mean is, it’s important for you to listen to others as well. Now yes the question is put to you. You have been asked that tell me something about yourself but it doesn’t mean that you just keep going on and on and you do not let others talk. It’s important to give an ear to others as well. Hear them out, you know this way you would get to know them better. So, make sure you listen to others. So this brings me to the end of this session. Hope this lesson is helpful to you and please do follow these tips. The reason because you would end up developing confidence and you would be able to engage in healthy conversations with different people from all around the world. So keep watching our lessons, do subscribe to them and I’ll be back with a new lesson, till then you take care. Next Next post: Business English Slang Words used in conversation.